- It says "This City Never Sleeps" on the inside of the collar. - It says "This is your club, this is your city" on the inside of the collar. This is a shirt that I have had my eye on for some time now. It is the concentric circle pattern that has drawn me to this shirt. 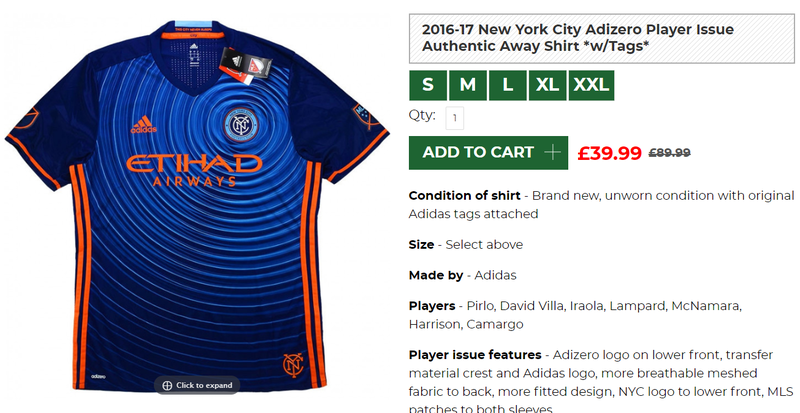 Plus there is no way I could get the home shirt as it looks exactly the same as the Man City shirt, just with a different badge. Orange is always a personal favourite to see on a club football shirt. This shirt is also the player issue version which is nice to own. It has the original price of $150 on the tags too.